Would you enjoy caring for them? Does the idea of a job in animal care sound enticing? If you answered yes to any of those questions, then you are in the right place. Seeking a career with animals could not be more rewarding to the animal lover. It takes a special person to truly nurture and care for the animal in need, and there is no better way to embark on that journey than to make it your field of choice in the work industry. 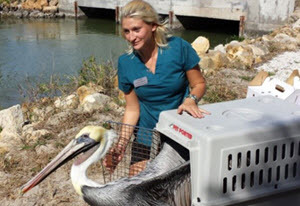 The benefits of having a career with animals range from better health to business ownership. The potential in this field is endless and the financial gain for doing something you love is quite surprising. With income starting around the $20,000’s annual income range and increasing with experience, animal care is guaranteed to provide financial security. Of course more studies and the more qualify you are the better you get paid, with some occupations getting close to the 200K a year mark! 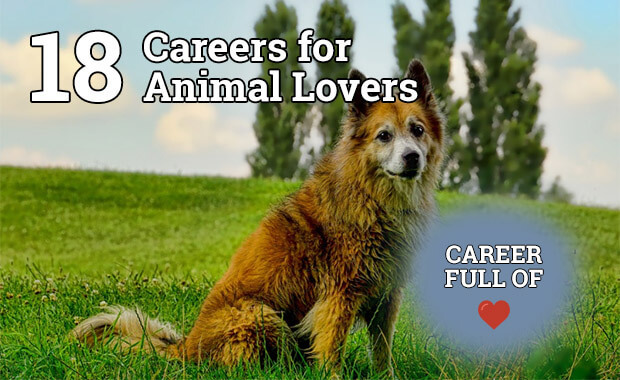 Let us go through a list of a few possible career choices that not only allow you to work with animals but will provide you with a lifelong fulfillment in something you truly have a passion for. This job is a great starting point whether you are just beginning or about to complete your schooling. This is a great stepping stone on your journey toward a potential career in a more prestigious position in animal care such as a Veterinarian or Zoologist. As a veterinary assistant you are responsible to follow orders given per a veterinary or veterinary technician. 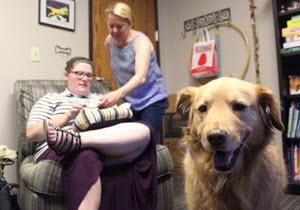 You will be expected to be capable of jobs such as assisting in medical procedures, aftercare of an animal in recovery, engaging the pet owner when they have questions and be willing to potentially deal with occasional reception and clean up. This job has a great initial annual wage considering you are not required to have any college, but you must get certified and re-certify yearly. This certification is typically provided by the employer and is called the NAVTA (National Association of Veterinary Technicians in America). The average annual wage for a veterinary assistant is $26,140 but in some states such as New Haven, CT. the annual average income is $48,000. Interested in becoming a veterinary assistant? For those seeking a career working with animals once they’ve received a degree in that field of expertise to consider starting as a Veterinary Technician/Technologist. This option requires a 2-year associate’s degree for a Technician and a 4-year bachelor’s degree for a Technologist. 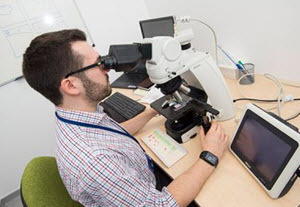 Both also require examinations, certification and in some cases, licensing, depending on the state you will be residing in when applying for a job. This job has a pay scale ranging from $28,000 to a little over $48,000 annually. 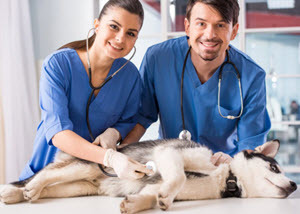 This job requires a higher demand than a veterinary assistant but is quite similar in that you are still assisting a veterinarian who has more knowledge and education. 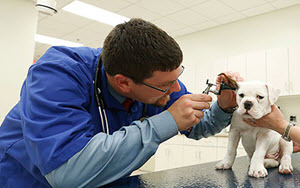 This is a great career if you are interested in becoming a veterinarian due to the fast paced and hands on job detail. You can be involved on a much deeper level with the animal and/or pet owner as a technician or technologist because you will be responsible for examining the animal and relaying the information to the veterinarian to assist in their diagnosis. 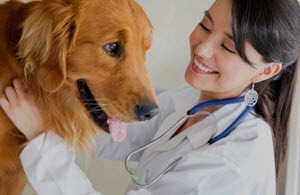 This career path allows for the individual that is interested in becoming a veterinarian to get the necessary experience prior to or during the continuing education required. The most rewarding job that involves working with animals is arguably a Veterinarian. While this job does require an extensive education, and years of experience in a related field, the payoff is exceedingly valuable. Generally, you need 4 years undergrad, 4 years veterinary school and state licensure. You may even be required to complete a residency and board certification if you’re looking to earn the big bucks. The average salary has an annual wage upwards of $75,000 but boasts a salary as high as $105,000 depending on location and experience. This is sure to be the way to go if you are looking to dedicate yourself to a medical career for animals and have the commitment to go all in for at least 8 years in education and training. Again, if this is your desire, a temporary position as a veterinary assistant would be the perfect jumping off point during your journey to veterinarian status. As a dog walker you can choose to make this job as relaxed or complex as you choose. As your own boss you can make your own hours and refer to your schedule when booking a client or you can choose to go along with whatever your clientele requests. In large cities where dog parks and large areas for running are available, you can control your income. There is not a definitive annual income because it literally differs from one location to the next. The average annual salary for a dog walker in New York City as of July 2018 was $27,412, which is vastly different from that of a dog walker in Michigan where jobs are posted asking only $10.62 an hour which is 15% lower than the national average. Research what local dog walkers are charging, find out where your services are most needed and advertise with simple flyers or social media posts. You need to set up interviews with each potential client and discuss everything that is involved with the individual pet and their needs. Set up a personal meeting as well to make sure the animal is not aggressive towards you before you blindly accept a job. This job combines walking the dog with feeding, watering, brushing, playing, etc. This job may require you to keep the animal in your own home, in which you need to make sure all of the animal’s provisions are available. 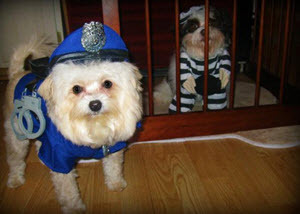 If you have any pets of your own, you need discuss your situation with the client in the initial interview. As with a dog walker you must make sure to have a meeting in person to assimilate yourself with the animal. Because of the added requirements in this position, you can charge quite a bit more. Once again, you need to research what the average cost is in your area for these services. Typically, this job earned an average of $48,635 annually as of 2010. This average is more than many hard labor positions offer. This job, while very similar to a sitter, can offer a long-term position with one client rather than a one-time job like a sitter often has. A caretaker is generally someone the client has a personal relationship with and entrusts the care of every need of their pet with. Rather than sitting for a few hours or days with the pet, the caretaker is involved for weeks or months providing all the necessary care for the pet. In a lot of cases people may have pets in their old age as companions but cannot care for the pet, or the client may not have children in their home and their pet is very special to them. 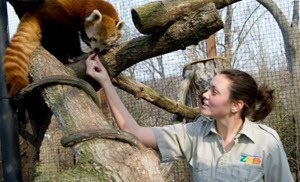 Based off of the national average, an animal caretaker makes between $17,550 and $35,860 averaging $21,990 annually. This job opportunity allows you to initially investigate and report the animal cruelty case and follow up all the way to placement in a new home, it requires a lot of attention to detail and a very deep concern for the welfare of animals. 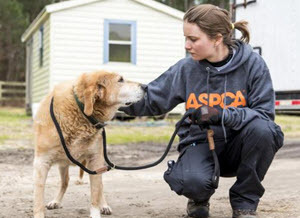 In 2017, animal cruelty investigators combined with the ASPCA (American Society for the Prevention of Cruelty to Animals) have rescued over 47,000 animals, participated in over 30 rescue deployments in and continue cruelty intervention efforts as well as forensic investigations. The average salary for an animal cruelty investigator is $33,800 and simply requires a valid driver’s license. It is wise to take some courses in law enforcement, psychology, or any course focusing on animal abuse. Many employers and some... ...state laws require this before offering employment. 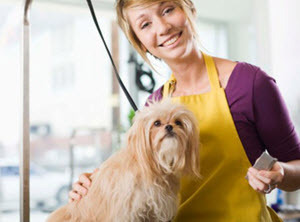 This job offers the groomer a great opportunity at being a business owner. The startup for a business like this merely consists of a few items: brushes and combs, nail trimmers, pet shampoos and conditioners, animal ear care and clippers. You may choose to offer house calls or to run your business from home. 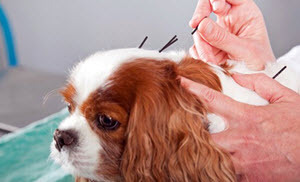 This job also varies in salary depending on your locale and the demand for pet groomers. This job does have the option of working for a company, this would be an option if they offer to train or if you have prior experience in grooming animals. If you have never attempted to do this before, it’s highly suggested to practice on your own animals or offer to groom a friend’s pet. You must gain experience in cutting hair, nails, etc. and cleaning ears. The groomer can expect to start with a company at minimum wage and go on to make upwards of $30 an hour with training and experience. As a mobile dog groomer, the salary can be close to $60,000 and has potential to have no cap if you hire out and really delve into starting your own company. Continue reading: Everything you’ll need to know about pet grooming. …I can imagine the shear mention of the words “pet detective” has you rolling in the floor, laughing out loud. Yes, it is a real thing, and just like a private investigator, the pay is good and the reward of reuniting a pet owner with their pet if very satisfying! Although this type of work may sound like the title to the movies we all remember, it offers the pet lover an opportunity to pay it forward. This job is best for someone living in a largely populated area because it is something you need to consistently do in order to build a clientele and have a steady income. You can set your own income goals because you will generally not have much competition for a job in this field. It is wise however, to research the area you live as well as surrounding cities to come up with a decent price bracket. 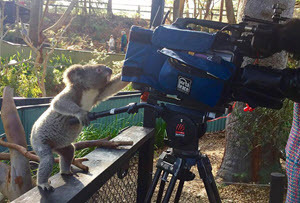 Becoming an animal photographer can open an entire career field for even the least seasoned photographer. You can be in control of your schedule, your hours, your pricing, etc. This job is probably the most versatile as a self-employment opportunity. You do need to have experience as a photographer and a knowledge of how to handle pets during a photo shoot, as they may not sit and stay like people will. This choice in a job really has no bottom line or cap for income due to the fact that a photographer can charge based on their experience, quality of work, quality of equipment and studio environment along with many other factors. This position has a potential income that is to be determined by the individual after evaluating local competitors’ prices within each level of expertise as a photographer. The national average is between $50,000 and $75.000, this is with photo shoots ranging from $500 to $1,500 each. If you are employed at a studio, again, depending on your experience and abilities you can make anywhere from $10 hourly with commission up to $100 hourly. This will be based on minimum wage and locale as well as the popularity of the studio. This is a career path that obviously requires education in criminal justice and completing the police academy. This choice in a job is certainly one for someone who wants to work in law enforcement and dedicate themselves to a life in this field. 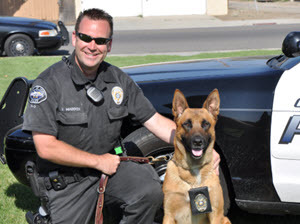 You must have 2-4 years’ experience with a police department to apply to a K9 position. You should be in good health and capable of absolute dedication to your K9 due to the fact they are considered an officer, so much so that when a K9 unit has fallen in the line of duty they are held to the utmost regard just like a person with the same funeral procession as a fallen police officer. K9 unit officers earn a national average of $64,490 mean annual wage as of May 2017. 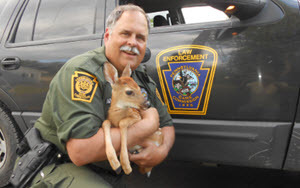 Also known as a game warder, a conservation officer is a law enforcement officer that specializes in protecting the environment and the animals within it. They enforce the codes, laws, etc. of hunting, fishing, camping and more. This job does require an associate’s but it has become common to require a bachelors’ in criminal justice, environmental sciences or biology. This career path can earn upwards of $60,000 annually. How does training bears in a circus sound? Just kidding, although that does sound like fun. Animal trainers range from pad training a puppy to behavioral therapy for an out of control pet. You may not be the next dog whisperer, but you can enjoy assisting others in learning how to handle their pets. This job does not require college but taking some courses in animal behavior would be very valuable. You can attain this job by working at a shelter all the way to creating your own business as an independent trainer. This is a great job if you like to travel, you can advertise yourself as a mobile trainer and go to the client. This is another job that has endless possibilities both with income and destination. You can really explore your options in several areas of expertise if you’re willing to learn some very basic training techniques. There are also volunteer opportunities for children interested in this field at shelters and adoption clinics. They teach you techniques to train animals and give you the tools to properly care for both healthy and ill animals. Put it into action: Become a dog trainer. This is a great volunteer opportunity as well. Although it pays well if you can find a job opportunity, you can volunteer all over the nation and even the world to do this if you are looking to take a summer abroad. This job does not require college credentials although it is recommended that you obtain a degree in biology. Doing some coursework in a subject matter relating to animals in order to better understand your position will help as well. However, the job does require legal permits that vary from state to state. You are not allowed to possess injured wildlife without the permits to do so in order to rehabilitate them whether or not you are employed as a wildlife rehabilitator. This job is certainly not for the faint of heart. If you know what acupuncture is then you know what this position entails. While not for everyone, it is a good opportunity to learn an interesting technique. Because this is niche market, the pay varies depending upon your area and it does require a minimum of an associate’s in acupuncture. If you’ve already completed the grueling task of becoming a veterinarian, you can continue your education in this specialty. This requires a veterinarian to research diseases and analyze body tissue and fluids. This falls in line with animal scientist or biologist because you are breaking down animal biology and discovering ways to cure and prevent diseases that may otherwise go uncured. As you can imagine this job has quite an appealing salary, up to $130,000 range. After all that schooling, I’d say mom and dad better see it pay off handsomely. Last but not least, an animal assisted therapist typically will have a degree background in some psychology, while not required it is highly recommended. In order to execute any type of therapy as a career, most people are looking to hire someone who knows what they’re doing. 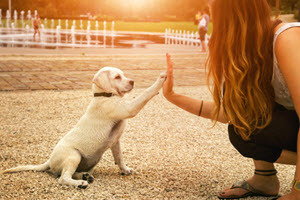 It is possible to get involved in this career if you simply have a love for animals by participating in volunteer projects with animal therapy or even advertising to use your own, well-trained animals. If you prefer wild animals over the more domesticated type, then becoming a zoologist may be for you. While it does require a bachelor’s degree in a related field, it allows you to be one on one with animals from all over the world. Whether you work in a zoo or in a lab, you have an opportunity to meander with animals that you would otherwise never have contact with. This job has an average salary in the high $70,000’s. Overall, there are endless opportunities to work with animals. Some careers allow for self-employment while others require years of medical school to heal your favorite furry friends. Regardless of what path you choose to take; research your options, make an educated decision that supports your desires as well as your financial situation and enjoy the journey. I have always loved taking pictures but it never crossed my mind to be a pet photographer until my friend mentioned it to me back in 2015. Needless to say, I went down that route and I could not be happier! You won’t make nearly as much as you would taking pictures for weddings or other events but people tend to come back over and over again, and tip very well. What I love about this list is that not everything here requires you to go into debt. 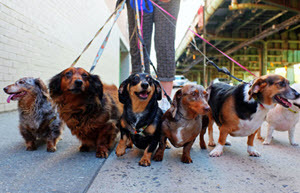 I heard people in places like New York make a killing being professional dog walkers. If it was an option here, I would do it but there, unfortunately, isn’t a demand for it. I am looking into becoming a trainer though. I am going to share this with my daughter. She is 15 and LOVES animals. I want her to start thinking about her future and get a plan together. I know she is going to need to start looking into where she wants to go to college soon so it is best to decide sooner than later on which career path she wants.